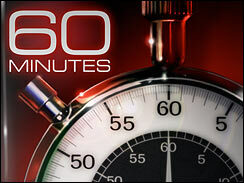 Earlier this evening, President Obama and Secretary of State Clinton sat down with 60 Minutes to do an interview. Apparently, it was at the request of President Obama. During and after the interview’s airing on CBS, I offered some of my thoughts on Twitter. I’ve embedded those tweets below. I’ve also included the two tweets that I RT’d. In short, I think the last 3 tweets are really important. This interview certainly wipes the slate clean for 2016. Note: In one of the above tweets, I referenced a post I wrote about deference. You can find it here.